Yesterday was a hard day for me. I knew that after the surgery I would feel all the overwhelming stress that comes along with working up to it and actually going through with it. Let alone, worrying if we're doing everything right, how Mabel is tolerating things, if she's in pain, etc. It's not an overnight fix. In fact, getting her adjusted to feeds may take quite some time. We may not see huge progress or gains for awhile. But I know when we do it, it will all seem worth it. For now, the only part that amazes me and confirms to me that we've made the right choice is watching her seizure meds go directly into her tummy and not having to wonder how much she got or worry that she'll throw them back up. She has been virtually seizure free since we came home! The redheads have been wonderful! They both wanted to see her little button and ask all kinds of questions the first night. It wasn't until we started a feed that Braden got a little 'worried.' But after we explained how much this would help Mabel, he seemed ok. Nora has become the expert and is already great at explaining what the g-tube is, what it does and how we hook it to the attachment for a feed! She's amazing. Mabel is only hooked up to her pump during a feed which, right now, last anywhere from 20 minutes to an hour, depending on the amount of formula she's getting. Otherwise, she is tube free and you can't even see her button. It's amazing. Nora said, (to comfort herself I think) that our house "looks like a hospital now...but it's not. It's just our house with some of Mabel's stuff in it." She's right. Things look a little different around here now. But they have for awhile now. 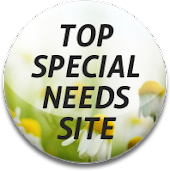 Between therapy equipment, medicine, syringes and everything else that comes with the territory of having a special needs child--it can be quite overwhelming. All in all, Mabes is doing great. She has gone longer without her tylenol and seems to tolerate mostly every feeding we give her. She has thrown up twice, after small bottle feeds, but she hadn't pooped yet so on top of gas from surgery and a new feeding tube that could have been part of the issue. We backed off of her feedings and are taking things very slow. She is happy and doesn't seem to be in pain from the surgery at all. Of course, she is teething so that is where most of her discomfort seems to be stemming from. I had a good, long, deep cry yesterday. I needed it. I needed to say how sad I am that this is happening and that this is the choice we had to make. I needed to say how mad I am that our baby is sick, has seizures, can't see, doesn't sit, and won't grow and how mad I am that we DON"T KNOW WHY. I needed to say how sad it all makes me for my other kids; how I am with them all the time and still miss them because nothing feels the same as it once did. I needed to say how broken and lonely and scared I am in it all and let myself feel it. Thankfully, by my side is a really amazing man who just holds me and says nothing.. He may spend too much money on things that I find pointless, but he is here and he is a great dad to Mabel, the redheads and even to Harper. He has been wonderful this year and I cannot say enough how blessed I am because of it. He is amazing with Mabel's care and from what I hear, that just isn't always the case. I feel better today. I know each day will get easier. I'll adjust and breakdown, adjust and breakdown. But in all of that I will grow. I already pity the Ramee from a couple of years ago--she didn't know nearly as much about God or life as this Ramee does. And for that, I am so grateful. Two nights ago (the night we got home from Chicago; Saturday) Braden asked Jesus to live in his heart! We were praying and when I thanked God for having His hand upon Mabel, Braden stopped me and said he didn't see God's hand on her. I explained that if we love Jesus and He lives in our hearts, that His hand is always on us, guiding and protecting us. Excited, he said that he wanted God to live in his heart forever so that 'he could go to Heaven.' I prayed and he repeated after me and it was amazing! I cried and said, "Oh buddy! Now you're a Christian! Now Jesus lives in your heart forever and you will be in Heaven with all of us some day! That is amazing!" He clapped his little hands and said "I'm a Christian!!!" It was so sweet and I know that he knows what it truly means. When Daniel went up later, Braden told him that he wanted Jesus to live in his heart because he wanted to go to Heaven some day and because he loves Jesus' mustache. What a good heart she has. Oh how they're learning! Then she went on to say that she knows exactly what we can do for people who don't have a bed to sleep in. "We can go to w w w w w dot online dot dirt sleeping bags.............so that people don't have to sleep in the dirt." Despite all that has gone on, I feel confident in the choices we have made and the path that we are on. The Lord has guided our every decision and we have not entered into anything lightly. I see fruit in our children and although we are unsure what is going on with Mabel, I feel confident that some day we will have answers. Until then, all I know to do is care for her in the best ways that we can and I believe we are. That brings me so much peace in the midst of an otherwise raging storm. Thanks to everyone who has emailed, texted, called, came by, brought food and prayed. WOW, she looks great! AND shes seizure free and youre home too, all good stuff I say :) Sush beautiful reds, love all the pics. Thanks for the update, praying you continue to see progess and stability that the feeding tube often provides. its a real relief, no icky meds by mouth and having a tube will keep you away from the ER many times over. Hugs and continued prayers for your little M.